Police are asking for witnesses to an attempted theft, a broken into car, and an accident. All of which took place the weekend before last. Thieves attempted to steal an Aprilia scooter (“Roller”) from the entrance to a courtyard sometime between 3pm on Sunday, 23rd July and 7pm on Monday, 24th July, 2017. The scooter was locked up and they were unsuccessful, but caused several hundred Euros of damage in the process. An Audi A3 was broken into on a car park in the Hohemarkstraße between 7pm on Sunday and 12 noon on Monday. The passenger side window was smashed and a purse stolen from within the car which contained ID and bank cards. And in “An der Heide” the front of a VW Passat estate (“Kombi”) was damaged between 6pm on Sunday and 11.15am on Monday. The damage is estimated at €1,000. The driver of the car that caused the damage drove off without leaving their details. Witnesses are asked to call police in Oberursel on 06171 62400. The water mains at the northern end of Oberursel is due to be overhauled in the coming weeks, resulting in diversions and a change to one of the bus routes. Starting on Tuesday, 29th March, 2016 traffic travelling out of the town along the Hohemarkstraße will be diverted along the residential road “Im Rosengärtchen” where the right-of-way will be changed at places. Traffic entering the town will remain on the Hohemarkstraße. 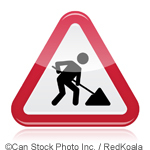 Additional roadworks will be in the road “An der Waldlust” where it crosses the Altkönigstraße. The bus route 42 travelling from the cemetery towards “Weißkirchen-Ost” will use Hohemarkstraße instead of “Im Rosengärtchen”, with a replacement bus stop opposite the U-Bahn stop “Rosengärtchen”. The route in the other direction is not affected. The work is expected to be completed by Friday, 22nd April, 2016. A Kawasaki motorcyclist was stopped by police on the Hohemarkstraße on Wednesday, 5th August, 2015. The 33-year-old was found to be driving without a driving license, with false number plates, and under the influence of drugs. He can expect “extensive” criminal charges. The tunnel on the B455 between Oberursel-Nord and Oberursel-Hohemark will be closed to allow for the lights to be replaced on two nights next week. On the 14th/15th and 15th/16th April the work will take place between 8pm and 5am. Traffic from Kronberg or Königstein heading towards the A661 will be diverted along the Hohemarkstraße. Traffic heading towards those towns will be diverted along the Dornbachstraße. The Hohemarkstraße is currently closed on one side to allow for work to take place on underground pipes. The closure is set to continue until 23rd April, 2014. Traffic going out of the town is being diverted along either the Mainstraße or Heidegraben, and then along the Dornbachstraße. Traffic going from the Hohemark towards the town centre can remain on the Hohemarkstraße. A 56-year-old from Bad Homburg was driving along the Hohemarkstraße in his Fiat Doblo towards the Hohemark on Wednesday, 12th March, 2014. At around 1.15pm he went to turn left across the tracks of the U-Bahn near house number 106. However he oversaw the U-Bahn that was travelling in the same direction. The car and the U-Bahn collided, with the car being pushed along the track and squashed between the train and the railings. The car is a write-off, the driver and his passenger were slightly hurt. The total damage is put at around €20,000. The U-Bahn was damaged but was able to be driven away under its own power once the track had been cleared.